It's funny: I've never been more connected with my coworkers, yet I don't know that I've ever seen more office confusion than I have as of late. We're catering to the communication habits of millenials, and in a lot of ways, this has benefited the office environment. 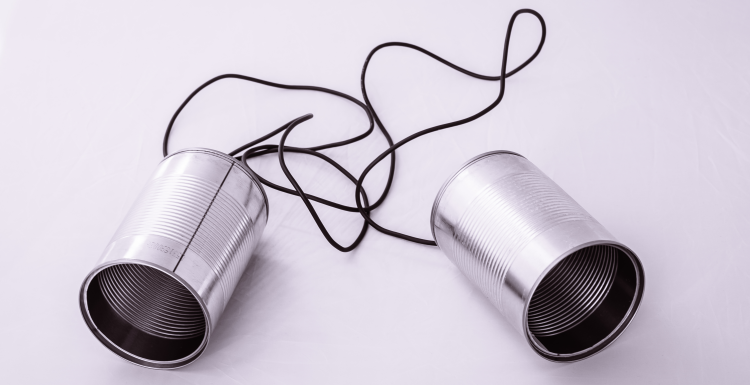 However, with an ever-increasing variety of communication methods, the need to ensure that we are using effective communication has never been more paramount to success. Here are some ideas for ridding your office of confusion by communicating effectively. As an effective leader in your office, it is up to you to resolve issues diplomatically. This means working out issues among coworkers and/or employees quickly and civilly. Office miscommunication can often cause disagreements within that office, and it is your responsibility to quell these disagreements with clear, concise direction. You must be the level-headed third party in the conversation for your intervention to be successful. You may not always be able to avoid miscommunication, but you can help clear it up. Right now, no matter where my coworkers are, I can probably get in contact with them. Some of them are notified the second I hit send on an email. This can make it easy to rely too heavily on emails and instant messages for office communication, which in turn makes office miscommunication an ever greater possibility. Set up weekly department meetings and watch as your department begins to work better together because they've been given the opportunity to voice their concerns face-to-face. It is up to you to lead by example on this and only use e-communication when it's necessary (which we all know it often is), not just when it's convenient. Speaking of e-communication, using some judgment can go a long way toward avoiding office confusion. We've all been there. We're in a meeting that maybe isn't the most engaging thing we've ever had the pleasure of attending. Suddenly, we feel our phone vibrate. What the heck: We just give it a quick glance. At that moment, though, we've done a disservice to ourselves, our co-workers, and those who depend on us for an accurate relaying of the messages discussed in that meeting. You become the genesis of office communication problems. Here's a blanket rule: If you're in a situation in which someone (it doesn't matter who) is expecting your attention, keep your phone in your pocket. Whatever it is, it can wait. One of the biggest revelations going from high school to my first job was how similar the two places were. There were cliques, rivalries, and romances. All we needed were lockers and I don't know that I could have told the difference between school and work. Gossip runs rampant in some workplaces, and whenever I hear this as a complaint from management, I ask them why they think it's happening. The answer I get is hardly ever the truth. The truth is, stopping office gossip is the responsibility of management, and in my experience, it's a fairly straightforward process. Do not participate in gossip on any level. This includes making fun of the work habits of another coworker behind their back or participating in any conversation you would not feel comfortable having in front of that coworker or employee. Discourage gossip when you see it. The thing I've noticed about gossip (and the reason I've included it in this list) is that it shuts down office communication. Miscommunication is often a direct result of a lack of effective communication. People aren't willing to discuss work when they feel they're in a hostile workplace. Get ahead of gossip and allow your employees and coworkers to have an open dialogue. If you are the leader of a department or a company, it can be easy to get lost in monitoring the performance of your team. Did they meet quota? Was the quality of their work up to par? We set up meetings and phone calls, and during our free moments, we just want to be left alone to prepare for the next meetings and phone calls. When we shut our door to our coworkers, we open the door to workplace confusion. If your staff does not feel they can talk to their leaders, they are more likely to make decisions you could have informed. Avoid workplace confusion by making yourself available to clear it up. It really is that simple. InLoox 9 Web App: Remote Work? No Problem! How Effective Communication Can Rid the Workplace of Confusion - InLoox • Copyright 1999-2019 © InLoox, Inc. All rights reserved.